Our Family Education workshops are a series of educational sessions for families who may be dealing with a loved one with a substance use disorder. The workshops implement the CRAFT Method which stands for Community Reinforcement and Family Training. CRAFT provides communication tools to help families, who may be unintentionally promoting substance use, replace language and behaviors with positive ways to communicate and solve problems. “Statistics show that over a 6-month period the concerned significant other (CSO) becomes less anxious, less angry, and more engaged with the identified patient. Over 70% of families who use CRAFT get their loved one into treatment,” said Dr. Robert Meyer, developer of CRAFT. The classes provide effective tools that teach people how to better communicate using a variety of techniques through dialogue and interaction. The CRAFT method reinforces the importance of the family member taking care of themselves, and in turn, helping the substance user. This method encourages positive reinforcement as opposed to using negative feedback, labeling, sarcasm or confrontation with dealing with someone who is coping with substance use disorder. Overall, the approach works by taking the beliefs and values of the identified patient or “IP” into consideration to develop an appropriate treatment plan. 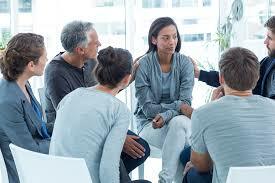 The CRAFT Method can help CSOs by teaching them to modify their usual behaviors, reactions, and expectations toward the IP, producing or eliminating current substance use and addictive behaviors in the IP, helping to motivate the IP to seek treatment and showing them the importance of self-care as they manage concerns with the IP to maintain or rebuild feelings of happiness. The Family Education Workshops are now being held in several counties including Monmouth, Burlington and Ocean Counties. Interested in joining a workshop? Location information and dates can be found here.